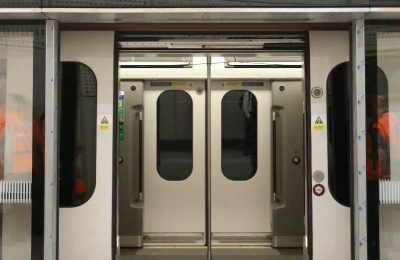 The design and construction of Crossrail has drawn on the expertise of a number of engineering disciplines. 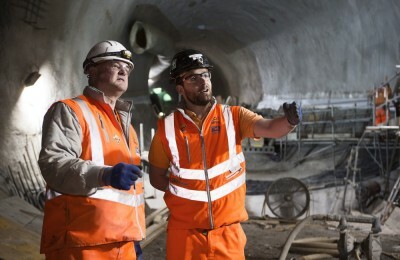 The design and delivery of the tunnels, shafts, portals and station boxes has utilised the skills of civil, structural, geotechnical and mining engineers, whilst the subsequent station and tunnel fit-outs has seen a greater involvement from the electrical, mechanical, building services and rail systems disciplines. The operational railway will see the involvement of yet more engineering and technical skills. 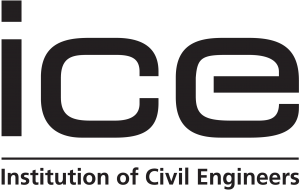 Engineers have been employed at all levels of the programme: By the client team under the auspices of the Chief Engineer’s Group, and within the design consultants, the programme delivery team and the contracting organisations. The client has been particularly active as a “guiding mind” in design leadership, ensuring quality and efficiency of the design as well as providing supervision of the subsequent construction work to confirm that the principles of self-assurance have demonstrated adherence to the design as well as conforming to the appropriate standards. This leadership has ensured that Crossrail’s safety case has been built progressively through all stages of design and construction. 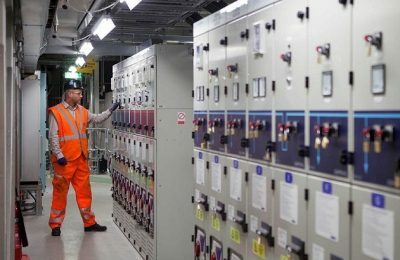 As is typical of dynamic programmes such as Crossrail, engineers at all levels of the organisation have had to operate in a very flexible and responsive manner, responding to change positively and effectively. This change could be driven by unexpected site conditions or changing requirements. Within the Engineering Theme we present a wide range of papers produced by those across the disciplines and throughout our supply chain. Most of the material has been generated by the engineers themselves and is a first-hand account of their experiences on the programme. At the current stage of the programme, much of our Learning Legacy focuses on the civils and underground construction aspects of Crossrail. Key lessons from these aspects relate to tunnelling and excavation related ground movements and their impacts on the built environment, the performance of tunnel boring machines (TBMs), sprayed concrete lining (SCL) design and implementation, and the management of groundwater during construction. Crossrail’s Engineering functions together established the Crossrail Technical Papers Competition which ran annually and received papers on a range of engineering and technical disciplines. It was open to all organisations currently or previously involved in the project, including designers, contractors, joint ventures and those working for Crossrail Limited. All of the papers have been included in the Learning Legacy. "Described as a 'huge civil engineering project with a railway running through it', Crossrail in fact encompasses all sectors, resulting in a large learning legacy which the IET is pleased to share within and across its sectors."